Wahoo – looks like the sun will be shining for the most part on festival goers this weekend at Forbidden Fruit, but it is Ireland and while we don’t mean to rain on your parade (pun intended!!) 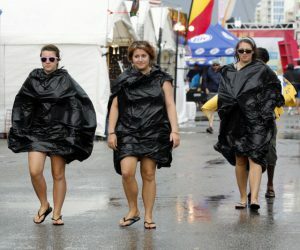 you need to be prepared for all weather eventualities. We’ve put together 5 helpful survival tips if you’re heading to festivals where no camping is required. Definitely one of the best items to bring! It folds up super small & will fit into any pocket. Bringing your own seat is super handy & a great way to rest your feet between acts. Simply whip it out, unfold, place on the ground and sit. There’s even room to share! It also doubles up as a rain coat and jumper as it provides amazing insulation – cut out space to pop your head and arms through and you’re sorted. Toilet facilities have improved dramatically in recent years at festivals, but it can still be an unpleasant yet necessary experience. 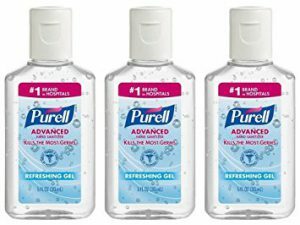 Lack of taps to wash one’s hands makes hand sanitiser at festivals a must. 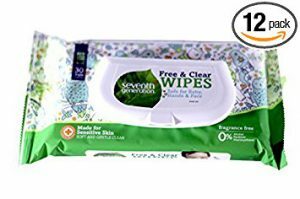 These are super cheap and easy to buy & are available in many stores including Dealz. A trusted stable for every festival goer. It is like a shower in a small packet! This festival gem does so much like cleaning your clothes, cleaning off muck, toilet roll, food spills etc. There are travel and festival size packets available from most supermarkets. Being out in the sun all day will result in sunburn unless you’re careful. If you are going to more than 1-day of the festival you should try not to burn as this will make the following festival days painful. Travel size sunblock is available in most pharmacies and is well worth the investment to ensure that you are able to fully enjoy the music festival – pain free! With all the selfies, video recordings and use of WiFi, it would be a miracle if you’re mobile phone battery lasted the full day of the music festival. 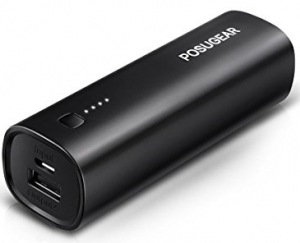 Bringing a fully charged, small power bank with you ensures that you will be able to use your mobile phone all throughout the festival – don’t forget to charge it while you sleep so it’s good as gold for the next day. 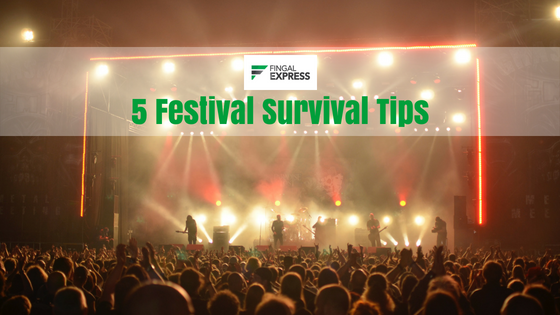 All our festival survival tips are compact enough to fit in a small bag or pocket and will help you have the best festival experience possible. With a little bit of preparation, you will have the best time watching your favourite artists perform with your friends around you leaving you with great memories of your Irish music festival.